Soft, sweet and pulpy, fig is a delicious pear¬-shaped hollow fruit. Their unique satiny texture and seeds provide a satisfying mouth feel and crunch. 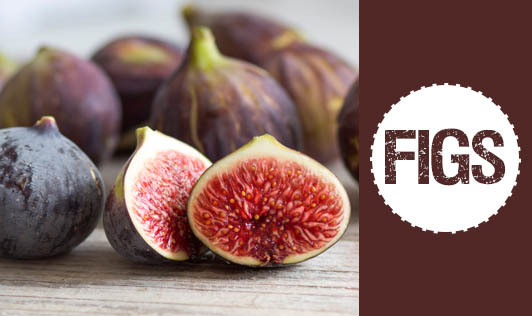 Fig offers a power-house of nutrition with a combination of fibre, minerals, and nutrients. Since fresh figs bruise easily and do not have a good shelf life, most of the figs are dried. Drying also concentrates the nutrients to make them a rich source of potassium and a good source of calcium, iron and fibre. Dried figs contain pectin, a form of soluble fibre that helps to reduce blood cholesterol levels. The insoluble fibre in figs helps the movement of food through the gut so preventing constipation and other bowel disorders. Figs have very high levels of the antioxidant polyphenol and phytosterols, both of which help in the prevention of certain diseases. The dense, sweet flesh goes well in baked goods, with fish, vegetables and other fruits. Figs can act as a sweetener in a variety of preparations and can be used as both a sweetener and a fat substitute in many recipes.